I love peanut butter. It’s even better now that I can make it myself. 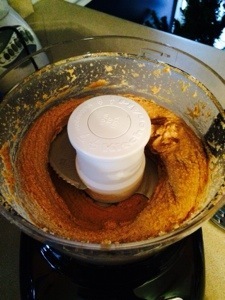 With the help of the handy food processor, you can make homemade peanut butter that tastes even better than the stuff you buy at the store. Yeah that’s the only required ingredient. 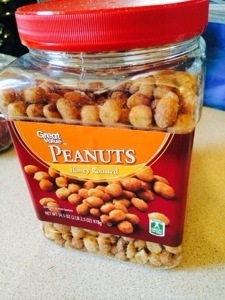 I guess you can add a little salt if the peanuts aren’t super salty. Maybe a little honey? Otherwise, that’s it. 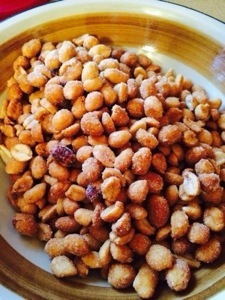 Put the peanuts in the food processor. Use the pulse button to chop them up a little bit. Set the processor on high and let it do work. 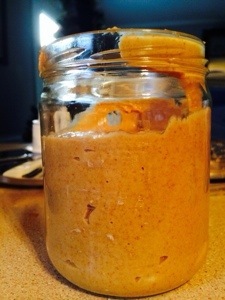 It should take no more than five minutes to have smooth, natural, homemade peanut butter. Use a spatula to scrape the sides of the bowl during the process. 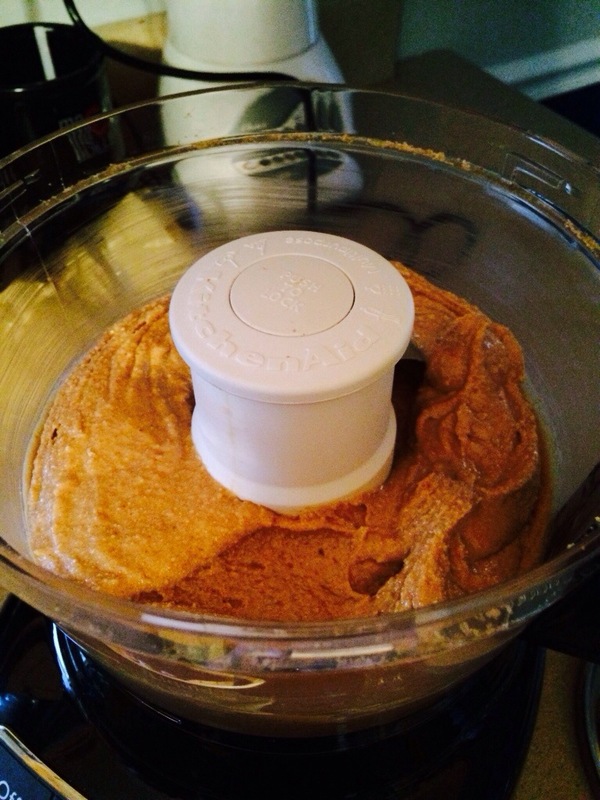 About halfway during the process, a peanut butter ball will start rolling around in the bowl. Keep processing. Eventually, you will have creamy goodness. My mom even had some jars in her cabinet to give it a really homemade touch! Just make sure you store it in the refrigerator since there are no preservatives in this snack! It will last at least six months.